Dreamland is using its GEEK gaming festival to work with schools in a bid to plug the digital skills gap. The amusement park, with GEEK, is to become the first education partner in the UK and Europe of invention kit designers Makey Makey. The company produces a kit that enables people to create computer controllers from everyday items. As part of the partnership Dreamland and GEEK will be working with Makey Makey’s Vice President of Education, Tom Heck, at the amusement park and King’s College London, by hosting a series of workshops. During the sessions young people will be able to learn skills such as coding, animation and design. GEEK is hosting a workshop with Tom Heck at Dreamland for educators working with young people in schools, alternative provisions, students and artists. Using the award-winning Makey Makey invention kit, participants will learn how to teach skills with the kit, including making and design thinking, with the company’s Vice President of Education. The workshop has been delivered by Makey Makey throughout the US and now for the first time in the UK. 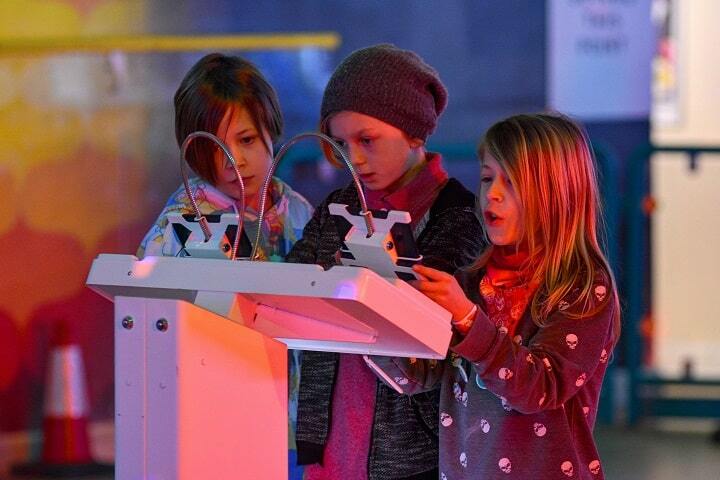 Two GEEK Lab school days will involve 250 pupils from 12 schools in East Kent attending a free education event organised by the festival in partnership with the Kent and Medway STEM learning team and Kent County Council. There will be a range of activities with the aim of raising self-awareness and aspirations in young people, with a particular focus on the skills and attitudes required for employment within the industries that feature at GEEK. Activities will include coding and animation. In partnership with Computing at School (CAS), GEEK will host a one-day workshop, ‘Train the Trainer’ with Tom Heck. This is for educators who introduce STEM (Science, technology, engineering, and mathematics) through physical computing and will be held at King’s College London. 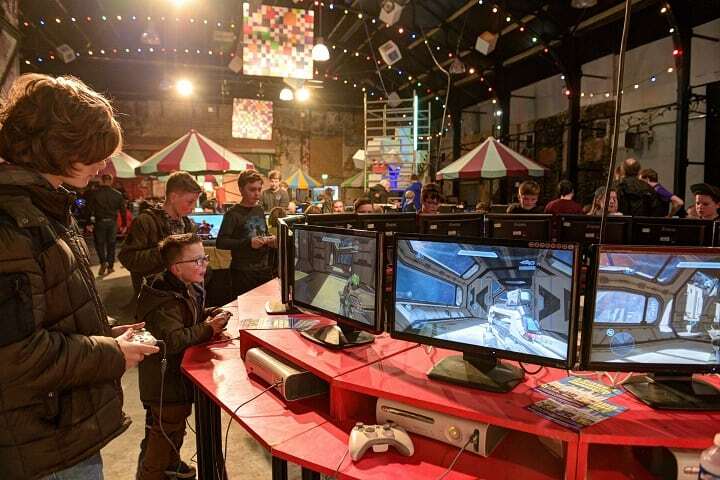 The GEEK festival will be held at Dreamland and include sessions with Margate-based digital artists Genetic Moo, who are also present at the school days. They will showcase their commission for GEEK, and there will be activities with Sphero, Makey Makey and more. Local colleges and universities, as well as people of all ages who attend the festival, are invited to look at the creative skills that come together to make a game. This includes coding, narrative, musical composition, art and design, resource management and branding. There will be extra making activities for families on Sunday. Victoria Barrow-Williams, Education and Community Officer at Dreamland Margate said: “GEEK and Dreamland are working together to raise aspirations, deliver skills and employment opportunities, and to put the fun back into learning. We recognise that digital confidence and competence is a basic life skill and are looking forward to working with many different groups in the community and beyond. 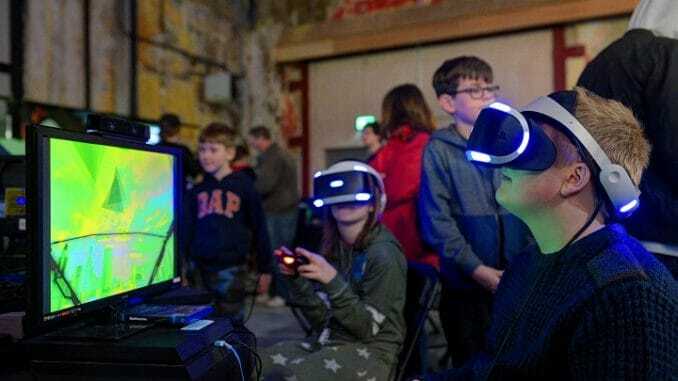 The GEEK gaming festival will include Star Wars: The Phantom Menace actor Andrew Lawden leading The Jedi Fight Academy and teaching lightsaber skills and much more. GEEK 2018 will be transforming Dreamland with a space theme as it celebrates the 40th anniversary of the original Space Invaders. The festival will also commemorate the 10th anniversary of the release of Super Smash Brothers Brawl on the Nintendo Wii with a grand franchise tournament, a day dedicated to Minecraft will see a cave for build-battles. Featured games will include old favourites spanning generations to virtual reality experiences, all amongst the entertainment park’s very own vintage arcade and pinball machines. The popular Cosplay Masquerade will return and those looking to put their gaming skills to the test can take part in tournaments in Street Fighter V, Pro Evolution Soccer 2018, Halo 4 and many more. The event will run from February 16-18 at the Hall by the Sea. Doors open at 10am, Last entry 3pm, closes 5pm. Tickets to GEEK are on sale now: bit.ly/GEEK2018. Under 5’s go free. Dreamland Members get 10% discount. For more info on membership, visit: dreamland.co.uk/membership. Aren’t all these gadgets rather unhealthy?